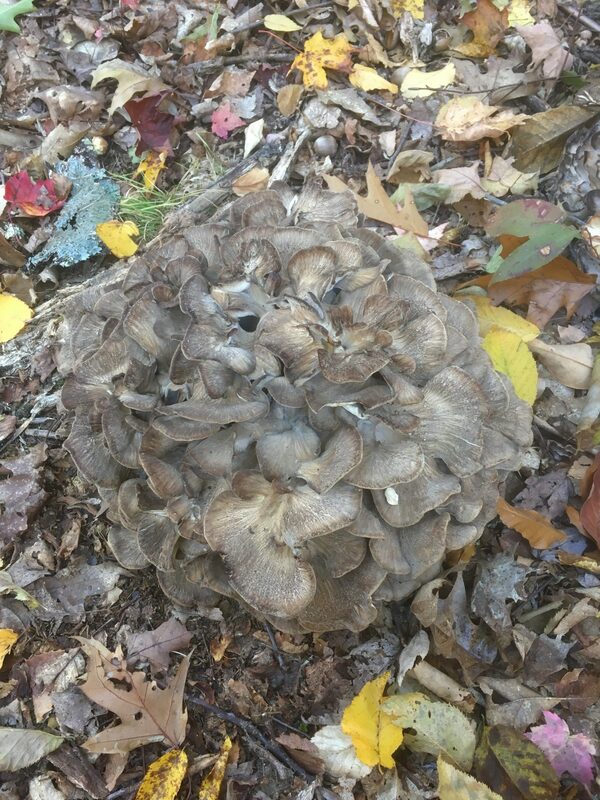 Hen of the Woods Mushroom (aka Maitake) is popular this time of year. It grows in clusters around dying oak trees. Keep your eyes peeled though! it blends into the fall leaves! For more information on mushrooms, join us on one of our mushroom woods walks!